Tropical Heights Island Beach House is located directly on a private pink sand beach! This very charming, Ocean Front villa features a tropical decor, adding to the ambiance and a clear bottom Kayak is just the key to relaxation! Whether you're looking for a honeymoon retreat or just searching for a place of total relaxation, you have found it at Tropical Heights! We have exactly 644 interior sq. feet plus an additional 524 sq feet in outside decking! Interior: The photos show the exact interior of Tropical Heights. We have additional photos we can send upon request. Sky Beach Club: Sky Beach Club has now opened are are exactly 1 mile north of Tropical Heights on the beach road! They have a wonderful restaurant as well as an awesome infinity pool. They also have interent access. This place is a must see while staying at Tropical Heights! Enjoy! Testamonials: We have have testimonials and references available upon request! We, also, have another Outdoor Shower, too! Tropical Heights is the only beach house on this stretch of beach! We have a 8' Dining Bar as well as an Outdoor Dining Table for your pleasure. Please note that Eleuthera is not as commerialized as the US; therefore, the satellite does go down on occasion. To accomodate our guests, we have a very extensive Video/DVD Library. Tropical Heights has a total of 524 square feet in outdoor decking! Private Beach Front! We have an 8' Dining Bar inside as well as a Outdoor Dining table which you can enjoy the vistas! Had a great time. can’t beat the view and the location, a perfect place to unwind. We were so happy with our stay. Doug our host answered all our questions and was super helpful. Once in Eleuthera they have a caretaker who picked us up and the airport and organized a car for us. You need one once there. This was our first time on the island of Eleuthera and had the best 9 days ever. Very chilled. We explored a new beach everyday. Swam with the pigs and explored lots of restaurants. The house had everything we needed. Beach chairs and coolers. Movies to watch in the evenings. The road leading up to the house could use a little love! Then again the island roads are not great. Personally it’s all part of the charm. We are so glad you had a wonderful time! What a great location and layout. Perfect for couples. If you’re looking to feel as if you might be the only people around - sky, sea and land - and want to see the night sky pop with stars this is your place. 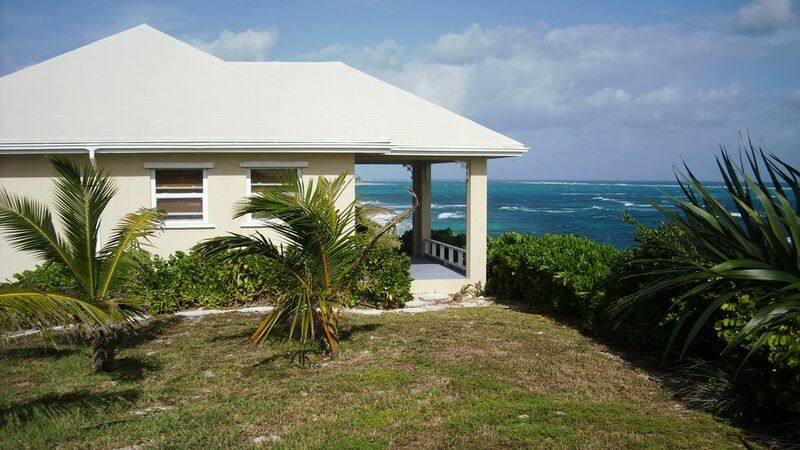 Eleuthera itself is great if you want space, beauty and don’t need a ton of amenities. There’s plenty of small grocery stores and restaurants but no giant hotels, resorts, masses of people. I hope it stays that way. Tropical Heights itself had everything we needed for a weeklong stay. The description and pics are spot on. Do be prepared for older, janky cars you’ll take over some very rough roads. A little care driving and you’ll be fine. Doug and IJ were VERY helpful, especially given the challenges we had getting to the Island. While not all our “getting there woes” were BahamasAir’s fault they are an airline to avoid. We learned through experience and from many Bahamians we talked to. If coming from the states you might also try to avoid flying through Nassau. Back to the highlights - in Dec/Jan we were in the water swimming and snorkeling. Some decent snorkeling right in your backyard. We enjoyed The Buccaneer for dinner and drinks. The best grocery store for us was South towards Palmetto- Midway Costcutter. Island Made in Gregorytown was a neat little gift shop. Bacchus is a neat cafe and small market very close by. Healthier foods, neat store and outdoor area. Owned by a friend of Lenny Kravitz. Thanks to IJ and Doug for all their info, help and suggestions! We haven’t rebooked quite yet but may do so sooner rather than later! My husband and I stayed at Tropical Heights for our 20 wedding anniversary and we were not disappointed! The house is beautiful and fully equipped with everything you would need during your stay. It offers great privacy as well.The view from the back porch is spectacular! We enjoyed waking up every morning and seeing the ocean from our bed! We loved eating some of the local food(Tippys and Buccaneers),visiting some of Eleutheras beautiful beaches and just relaxing. Our favorite beach was the Lighthouse Beach. A little rough getting there, but well worth it! I would recommend starting early and planning to spend the day there. The views were amazing and the snorkeling was great! Everything was super easy from the first communication with Doug to IJ meeting us at the airport. We rented a car from IJ(they drive on the left side of the road here)and we are so glad we did! We will definitely be planning a return trip to Tropical Heights. Thanks for the great memories!! I just wanted to add a review for the wonderful stay my wife and I had at Tropical Heights. My first comment is what a fantastic bed you have at the place. We have stayed in multiple places on Lutra over the past 16 years, and I will say that the bed at TH is by far the very BEST we have ever encountered. I do want to comment on the negative review received and say that we had a 180 degree difference in our experience at Tropical Heights! Starting with a mix-up on scheduling from the renters prior to our stay, causing a double booking of March 11 and 12th. Doug made arrangements for us to stay at Pineapple Fields for the nights until Tropical Heights was available. Then as we have vacationed on Lutra for the past 16 years, I had made arrangements for a vehicle from someone other than IJ. When we arrived at GH airport, the arranged SUV was not arranged, leaving us with no SUV. IJ took us to the Grocery Store for provisions, and then to Pineapple Fields. He also got us a Jeep for our stay. My point in saying this is that when going to Lutra, don't expect it to be a 5 Star or even a 1 Star Resort experience. Going to Lutra is "slowing your life down and relaxing". As they say "everyting's gonna be alright" With people like Doug and Israel Johnson having your back, you will have a wonderful time at Tropical Heights. Your location is perfect for those that what complete privacy, looking for an "all-over tanning experience". We also like to leave something whenever we stay at people's rentals on Lutra and this year I brought down a "hand-held massage shower-head" for the outside shower. Enjoy! The house was well equipped, though the DVD door will still not open, as indicated by Steve's review. Also, I would look at swapping out the coffee maker, as it has seen better days! The double sliding screen doors don't want to completely close, leaving a gap of 1/4 inch to 1/2 inch; which will let in bugs. What we did was to wedge some "close-pins" to get the doors almost completely closed, and then use clear Gorilla Tape to close off the remaining opening. We then just used the side doors to go outside. This also cut down on a lot of the rattling as the week of March 13 was extremely windy. I would recommend this location to any couple, but with it being only a single room (granted a large single room) more than a couple will find it difficult to store everything. Other Activities: Clear Bottom Kayak!! See Low & High Season Rates. High Season Rates - $1295 per week.